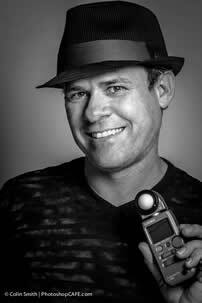 Join one of the world's foremost Photoshop experts, Colin Smith. 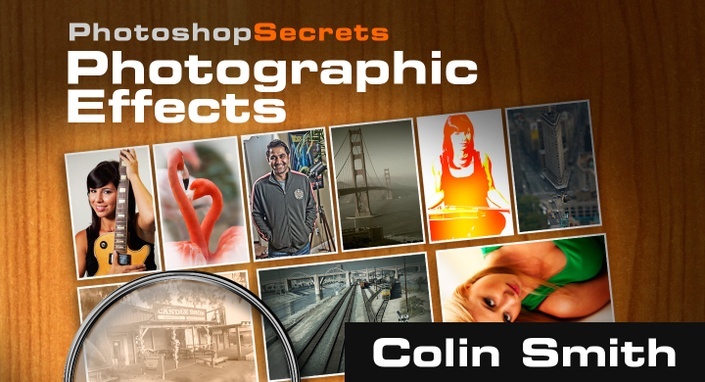 Colin shares his mouth-watering recepies, that will turn your photographs into jaw-dropping masterpieces. He reveals how to mimick the coolest traditional darkroom techniques and a whole lot more that would usually require thousands of dollars of special gear. He studied photographs that used special development processes and equipment, such as tilt-shift lens, toy cameras etc. He then deconstructed the looks and turned them into easy to follow photoshop techniques. Learn how to change the time of day, the weather and even the environment. These techniques are just like magic! All of these original techniques stand up to industry standards, because Colin has used them in his professional work for years. You will be amazed at how easy these techniques are once you know the “secret sauce.” All the photographs have been taken by Colin, so there are no canned, stock photos. You won't find these techniques in the user manual... or anywhere else. Photographers and designers will celebrate this one-of-a-kind title in their learning library. From Colin...." This is one [video] I have been thinking about creating for several years now. I have been thinking, "What if there were a video that shows people how to mimick real-world photographic techniques?" Tilt-shift lenses, special types of processing, toy cameras, old antique photos and the like. So, I studied photos of these different techniques and figured out the best way to replicate them in Photoshop. If you're familiar with my style of teaching, you'll know that the workflows are robust and non-destructive. I have thrown in a ton of personal tips and shortcuts. Amazingly enough, all this is easy to follow, so that anyone of any level can do this. I also used techniques that will work on any version of Photoshop, past or future! "